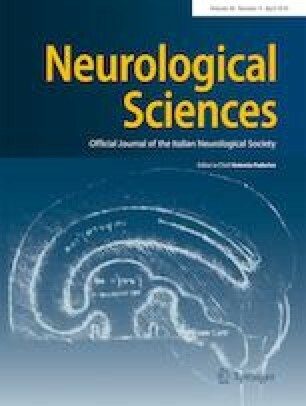 The Brief Repeatable Battery of Neuropsychological Tests (BRB) is frequently used to estimate cognitive function in adults with multiple sclerosis (MS), while it has been included in few studies on young MS, also because of the absence of normative values. We aim to evaluate the impact of age, gender, and education on BRB scores in a young adolescent population. We administered the BRB to 76, 14-to-17-year-old, healthy subjects. Linear regression models were used to assess the impact of age, gender, and education on sub-test scores. When statistically significant (p < 0.05), we used the regression coefficient to correct the raw scores. Younger age was associated with better performance on SPART (β = − 2.54; p < 0.05) and SPART-D (β = − 1.06; p < 0.05). Male gender was associated with better performance on SPART (β = 3.40; p < 0.05), SPART-D (β = 1.41; p < 0.05), PASAT-3 (β = 5.58; p < 0.05), and PASAT-2 (β = 5.07; p < 0.05). Educational attainments were associated with better performance on SPART (β = 3.23; p < 0.05) and SPART-D (β = 1.28; p < 0.05). Cut-off points were suggested at the 5th lowest percentile. Age, gender, and education must be accounted for when applying the BRB to young population. Present results can prove useful for future clinical and research applications in adolescent MS patients. Fabrizia Falco and Marcello Moccia contributed equally as first authors. A correction to this article is available online at https://doi.org/10.1007/s10072-019-03880-w.
We are thankful to teachers and school directors that allowed this study.